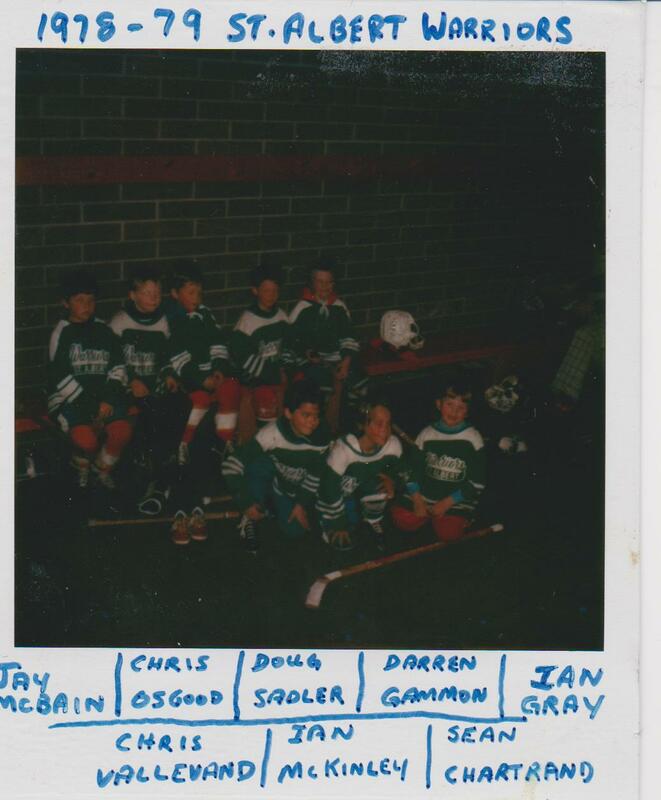 As long as I can remember, I have been playing hockey. Over four decades and thousands of games later, I still lace them up a couple times a week, year-round. I joke with my American friends that it is, by law, that all Canadian children must play hockey. The reality is a bit different. A few years ago, soccer overtook hockey in Canada for those aged 3-17 and youth hockey is losing thousands of players each year. The reasons for these changes can be attributed to demographic shifts, immigration patterns, cost of equipment and ice-time, right down to the increased dangers of injury of young players. The most recent World Cup of Football (Soccer) achieved similar TV ratings as the Stanley Cup, with 82% of the population watched a part of the coverage. Last week the Canadian Men's World Junior team lost in a shootout nail-biter with the USA. Last years Stanley Cup playoffs did not have any Canadian teams participating. An interesting side effect as the professional game has become faster and more skilled, an increased number of Junior eligible players in Canada are electing to wait and play US College hockey (NCAA) instead. I am not suggesting that hockey will lose its place in Canadian religious lore anytime soon, but perhaps in a generation it will be competing for mindshare. 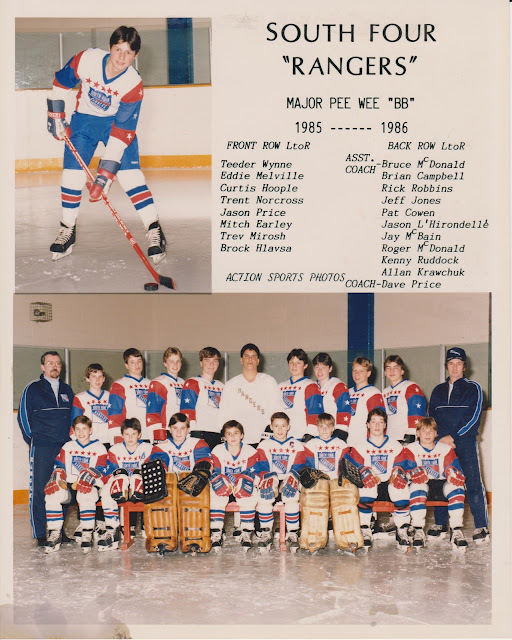 The memories of such greats as Wayne Gretzky, Mark Messier, Paul Coffey, Lanny McDonald and many others would shape the way I looked at the game. Special thanks to my mom, Gloria, for organizing these pictures into a scrapbook that I cherish. My first ever memory (probably 3 or 4 years old) of lacing up the skates was on an outdoor rink in St. Albert, Alberta, Canada. Even though the temperatures were frigid, playing would make me sweat and heat up. I would therefore pick up some speed and do a Superman dive face-first along the ice. The cage on the front of the helmet would grind the ice and throw cold chips into my face. It would feel like heaven! Don't worry, the picture quality improves over the years! This was an old Polaroid that the scanner did a better job on than it really looks. Hockey fans with a careful eye will see, seated next to me, the 10th all-time winning goalie in NHL history. With 3 Stanley Cups under his belt and one of only 6 goalies to ever score a goal by shooting a puck directly into the opponents goal, Chris Osgood, or "Ozzie" for short, provided some wonderful memories for Detroit Red Wings fans during the 1990's and 2000's. 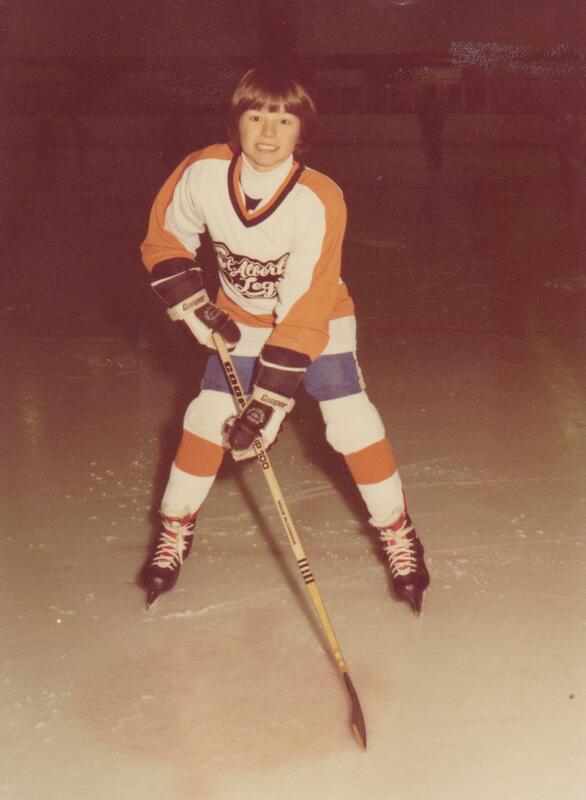 I would play with Chris for a few more years before he strapped on the pads and achieved hockey stardom. The first few years also had my dad as a coach which was wonderful. One of my favorite memories from this team were Shelley's sweater spelling out "SEBASTIANELLI" from elbow to elbow to fit on her small frame. The other was Raymond, who was still learning to skate, with his mom yelling "the other way Raymond" from the stands. He did score a goal later in the season and we celebrated like winning the Stanley Cup. 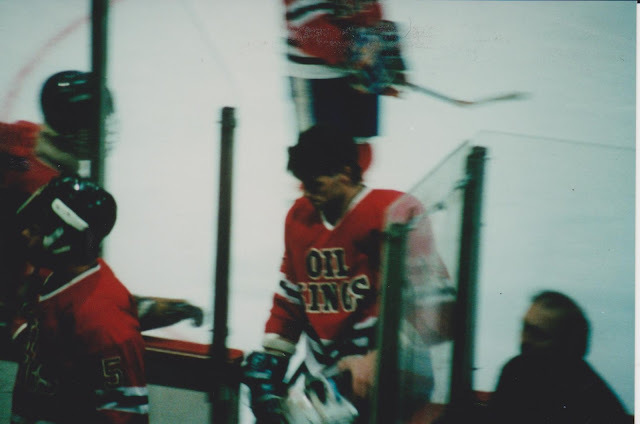 Moving to Calgary in early 1982 was a turning point where hockey became a more serious endeavor. 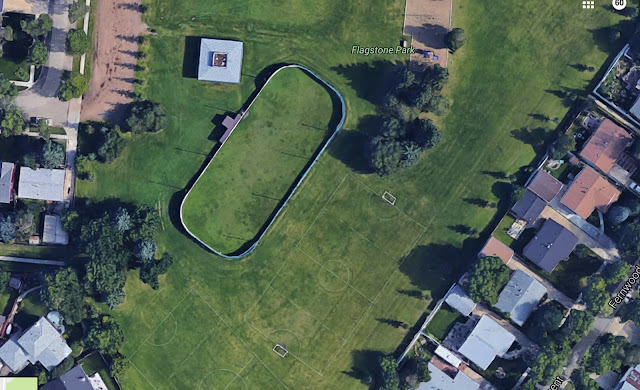 As the story goes, legendary coach Fred Wynne heard that I had just won a major track meet for Braeside Elementary school and he said if I can skate as fast as I could run, I would be all set. 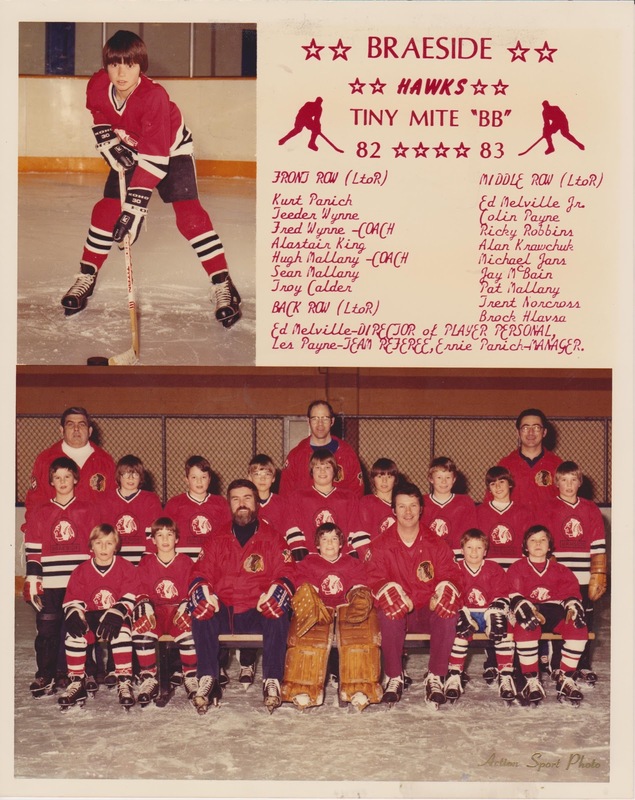 Although we were just 10 years old, we had home and away jerseys, dressed up for games, treated our Hawks jacket with respect and carried ourselves with confidence of playing on a special team. That feeling never left me and Fred was (and still is) the best coach I have ever had outside of my father. If you ask me about being a team player, I think back to what is was like being a Hawk. A couple of things stand out playing on this Devils team. First, our coaches name was Les Payne. Repeat that a couple of times out loud. Every time we were skating hard in practice we kept thinking less pain...less pain. Well, the pain must of been worth it because it was the only time in over 4 decades of playing I have even gone through the regular season undefeated. I remember Ed Melville and Teeder Wynne having a magical play behind the net and scoring about a billion goals. I also remember Les Payne between each period saying to "just play our game". We never knew what "our game" was - but hey, it worked! With our undefeated season behind us, and without the magic of Les Payne's "our game" we returned to earth this year. 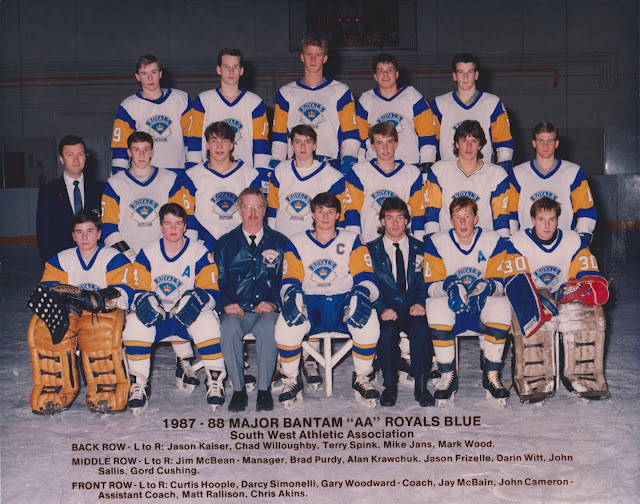 This was the final year before things got more serious again in hockey - making the big Bantam teams. Making the "AA" team was the equivalent (4 years before) to making the Hawks. It carried a prestige walking around school in the leather Royals jacket and probably inflated my ego more than it should have. 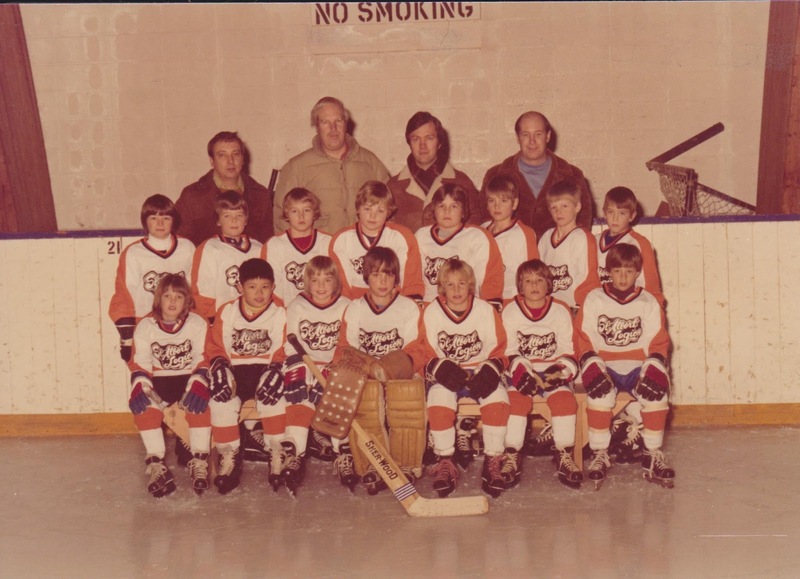 This was the season that I told my parents that hockey was becoming stressful. Parents were much more involved and boys hormones (combined with ego) are running so high that it wasn't fun anymore. 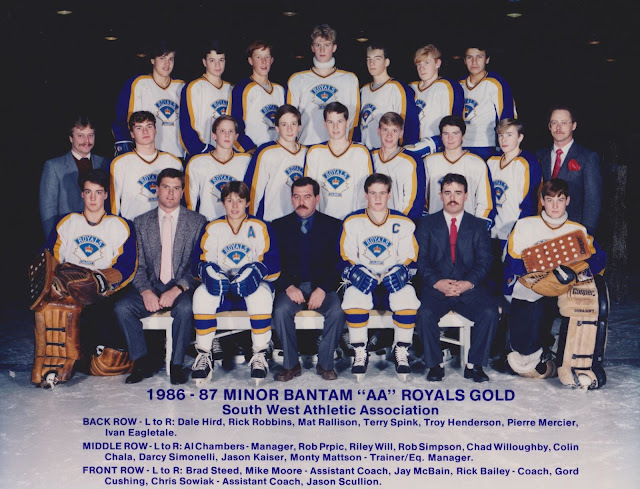 The pressure was on to make the 'AAA' hockey team the following year and try to play in the WHL after that. At this point, kids still think they have a shot - which isn't really true. Unless you are already chosen at this age through the above WHL camps, it is tough to become a pro as a late bloomer. My ego was as high as ever, being captain of the team. Also in 1987 was the first year of high school, and making the football team as well. So, track in the morning, football after school and hockey at night - with chasing girls in-between. Luckily, at the time, our school marks didn't need to start rising until Grade 12 which gave me some breathing room (which I used every breath). The next 2 seasons were the most impactful in my life. 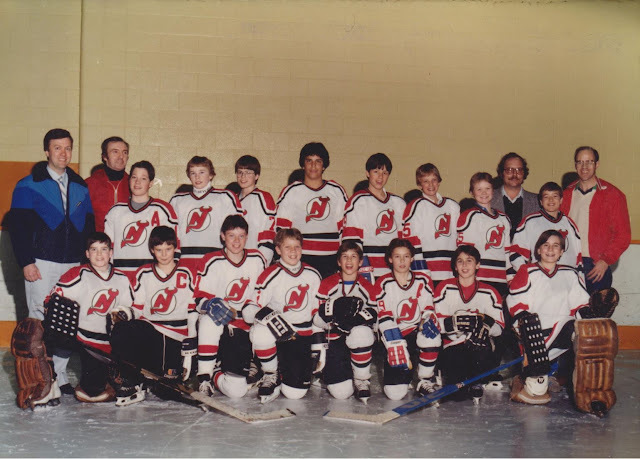 I was the final cut from the 'AAA' team in 1988 and was sent to "the minors" in Midget AA. It was a humbling experience as the 'AAA' coach mostly avoided our section of the city and took the cuts from other regions. I wondered how he planned to win against other teams using their cuts, but he had a real problem with the cockiness and ego that our team brought to try-outs and decided to teach everyone a lesson. The hard part is that I was kept on the team for many weeks and I would see each player make it when they started wearing brand new blue and gold pants. I never was given those pants and, even though I thought I was one of the better defencemen, was cut down to AA. I write more about the this and the other most important moments in my life in the butterfly effect blog. 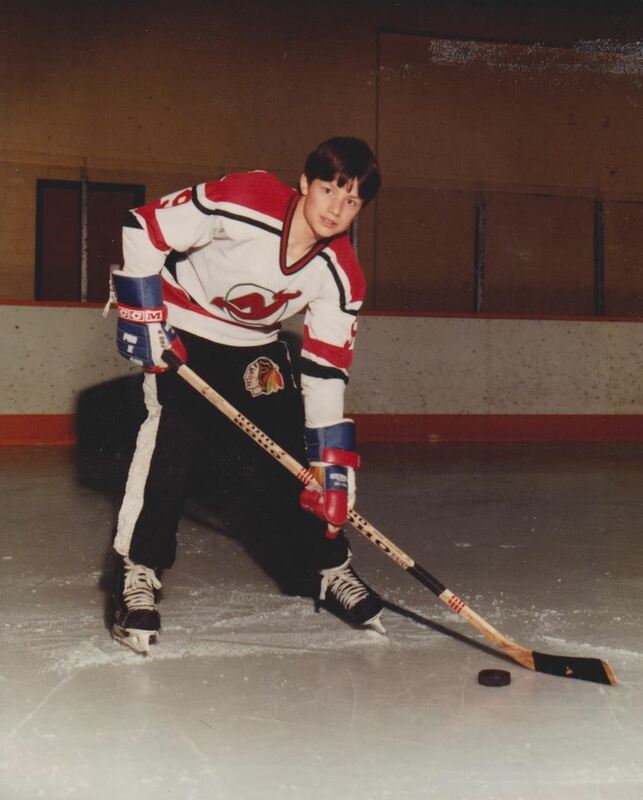 I knew then my NHL hockey dream was over - but the news came just in time - allowing me to significantly raise my grades and earn early acceptance into the University of Lethbridge. Two things happened that capped off my competitive career - one bad and one good. 1. 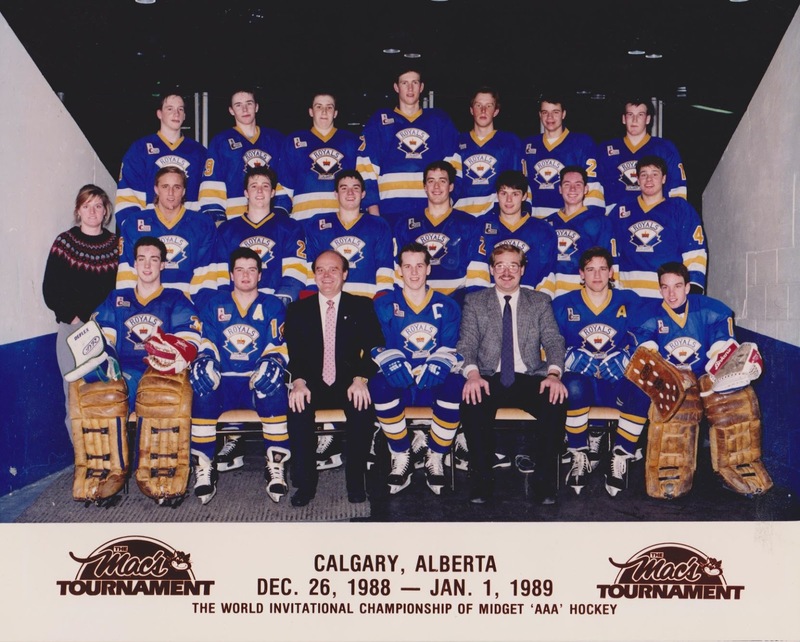 The famous Mac's AAA tournament was played in our hometown of Calgary and somehow we were allowed to participate as a AA team (perhaps there was a no-show). 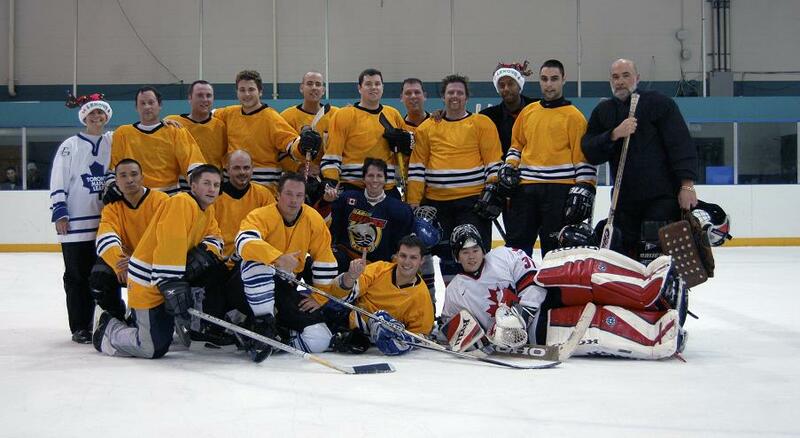 We played the AAA team I was cut from as part of the tournament round-robin. We jumped out to a quick lead and had them on the ropes deep into the third when they came back to beat us with a 4 goal flurry. I wasn't around by this time as I was taking all kinds of penalties and playing a revenge game against the coach who cut me months earlier. I was going to show him I thought. My ego got in the way and I was kicked out of the game. If you look closely at the picture above, I am in street clothes and shoes after the game. 2. 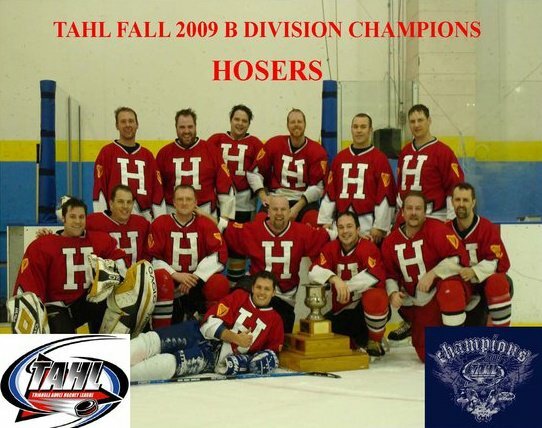 The good part came the next year when, stocked with a number of good players (because of the coaches cuts in our region) we went on to WIN the Provincial (State) Championships as huge underdogs. I was playing with friends and we were much more relaxed, enjoying hockey again for the first time in a few years. We played younger, more feisty teams but we took the City Championships and then traveled and won the big prize. What a way to finish youth hockey and head off to college! An interesting and fun story happened while I was at the University of Lethbridge. I was playing in an intramural game where I scored about 8 goals. The coach of an IJHL - International Junior Hockey League team approached me after and offered me a contract. I didn't have to practice with the team - just play. Every weekend I loaded up on the bus with the team and we traveled around to different cities in Canada and the U.S. It was something straight out of a movie! 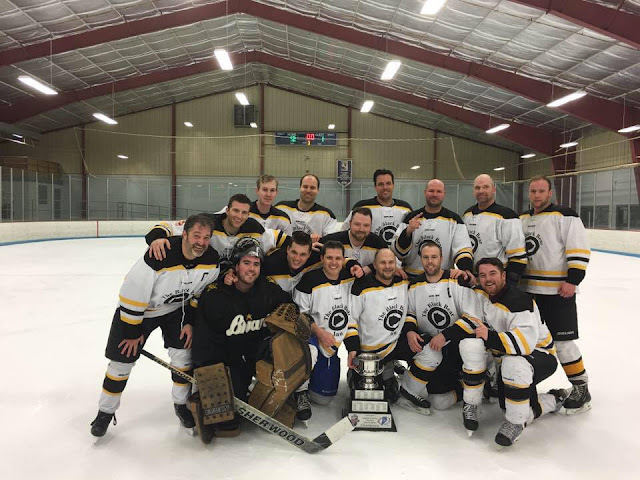 I have been able to play hockey weekly since leaving college and the IJHL. When I joined IBM in 1994, I would travel every year to the Prairies Classic where we competed with other Western Canadian regions of IBM. When I joined Lenovo in 2005, we had an annual game where we played against IBM for charity. Somehow the little company no one had heard of at the time, won 3 straight years! In 2011, I moved up to Albany, NY and was able to play (and win) in the USA Hockey Classic Tournament in Lake Placid - on the same ice as the miracle in 1980! So, that is my hockey story. I would love to play forever. In fact, there are several examples in Canada of men playing into their 90's. That is a lofty goal, but one worth pursuing in my books.